This present work, coming from the pen of the Sage, Swami Jyotirmayananda, is intended to bring the subtley of Vedantic Philosophy within the reach of all seekers after knowledge in the East as well as in the West. 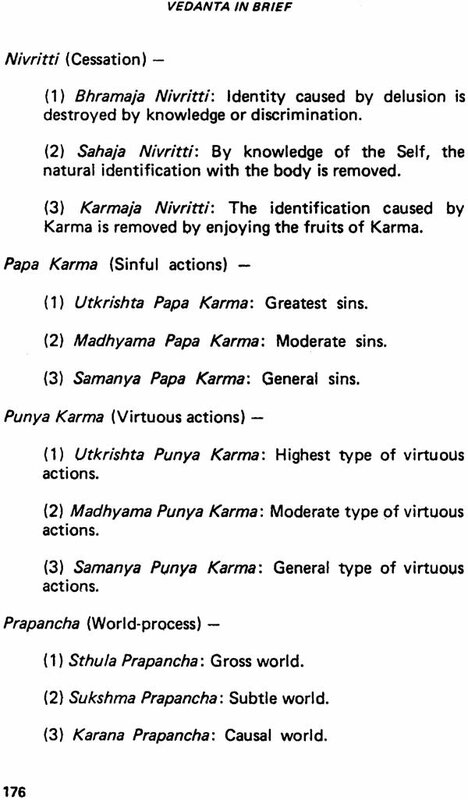 'Vedanta' means the end of the Vedas. 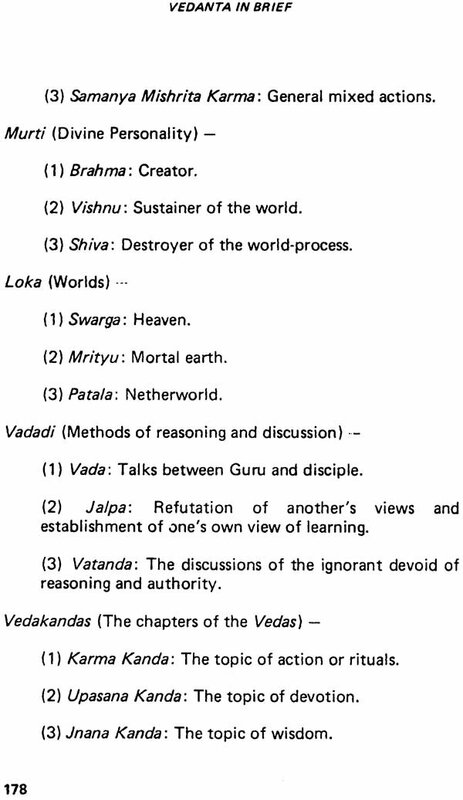 The Vedas being the earliest revelations of mankind. 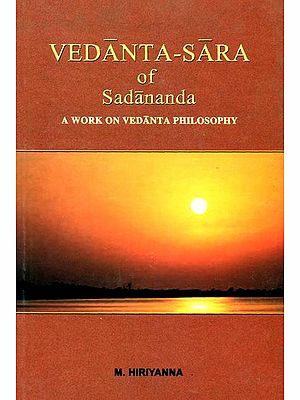 Vedanta is the sublimest system of philosophy, and is based upon the Upanishads. In the forest thought, the jackals of numerous philosophical views continue to howl until the Lion of Vedanta sets forth his triumphant roar. India has been blessed with a ceaseless succession of great Sages and Saints who through their exemplary lives, offer ample proof of the great power and authenticity of the Hindu scriptures. 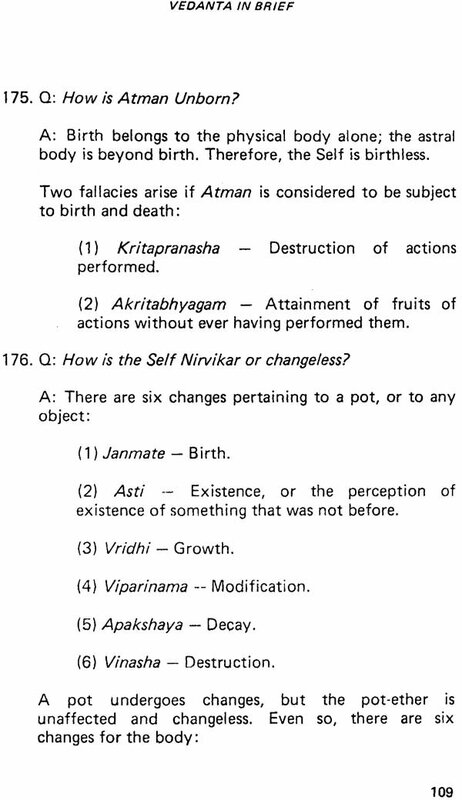 From the ancient Sages Sages such as Gaudapadacharya, Shankaracharya, Ramanujacharya, Tulsi Das, Sur Das, Chaitanya Mahaprabhu, Mira Bai, to the Sages of the recent past: Sri Ramakrishna Paramahamsa, Ramana Maharshi, Swami Vivekananda, Swami Ramatirtha, Swami Sivananda, Mahatma Gandhi and our beloved Guru Swami Jyoti Maya Nanda – all these great personalities have been the fruits of the tree of Hindu culture which is founded on Vedanta philosophy. 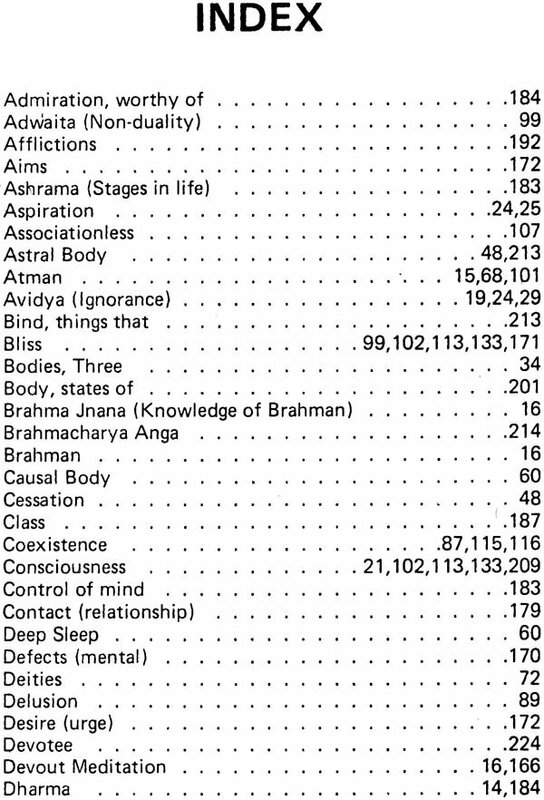 The Vedas constitute the basic Hindu scriptures, and classified within the Vedas are the Upanisheads, which are purely philosophical. 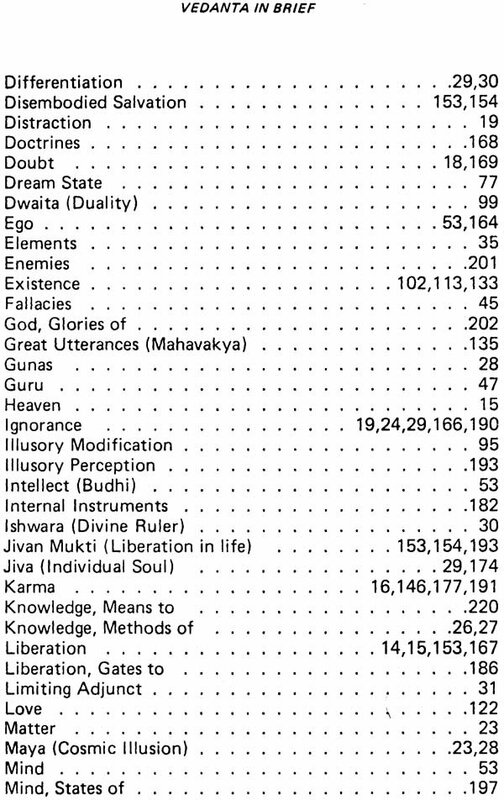 Since they contain the highest thoughts of the Vedas, they are knows as "Vedanta," or, "The end of the Vedas." But unless a student has thoroughly studied the Upanishads in depth under the guidance of Guru, he could not truly understand the philosophy of Vedanta. 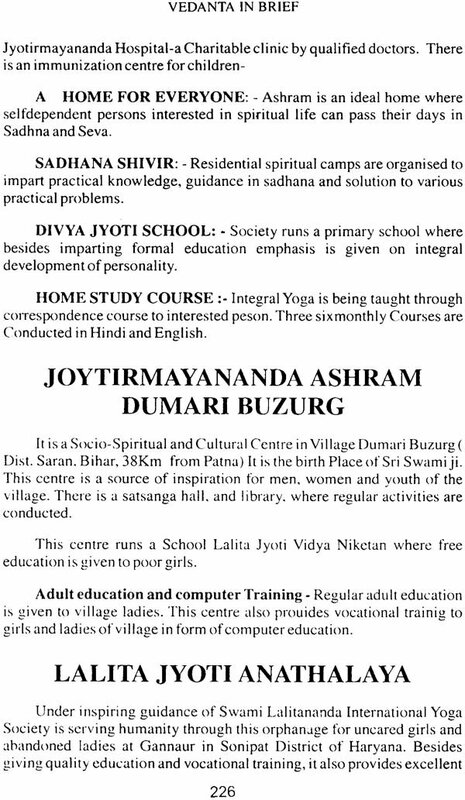 This present work, coming from the pen of the Sage, Swami Jyotir Maya Nanda, is intended to bring the subtlety of Vedantic philosophy within the reach of all seekers after knowledge in the East as well as in the West. 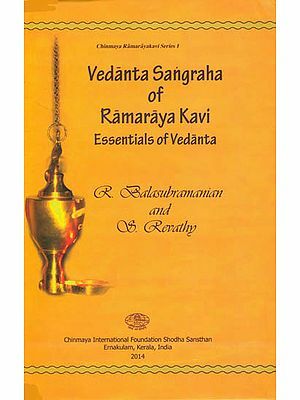 This book must become a constant companion for the aspirants who aspire to attain Self-realization. May God bless you with wisdom! Adorations to the Self in all, the silent Witness of all hearts, the source and support of the entire universe, the Goal of all human aspirations. 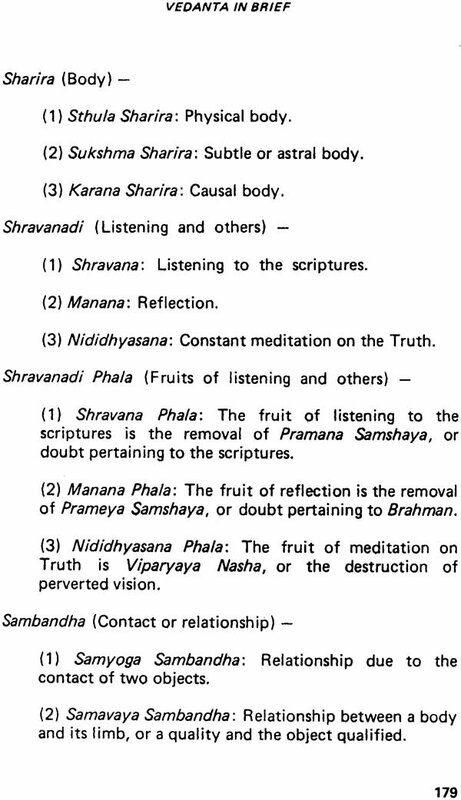 'Vedanta' means 'the end of the Vedas,' the Vedas being the earliest revelations of mankind. 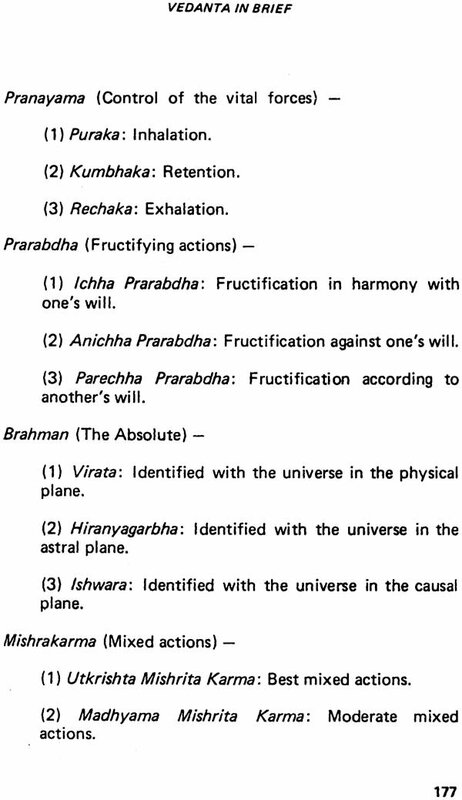 Vedanta is the sublimest system of philosophy, and is based upon the Upanishads. The Spirit (Atman or the Self) that rules the mind sense and body, is the same that rules the heavens and earth; the mysterious courses of celestial stars above, the courses of the running streams and of the surging ocean below; any all that is in the heavens and earth is ruled by the same Spirit. 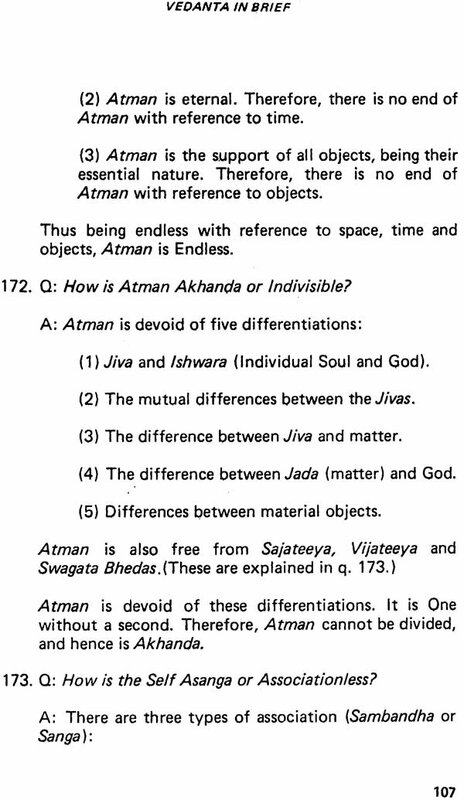 Study Vedantic Philosophy. Be equipped with discrimination, dispassion, self-control and aspiration for God-realization. Turn your gaze within by the enquiry of "Who Am I?" When you rise above the mind, you will experience the stupendous Unity of Existence deep woven into One, even as waves unto the Ocean. I am not this perishable personality. I am not the mind, intellect, ago senses or body. Nothing exists, nothing belongs to me. I am the immortal, imperishable, immutable Self. 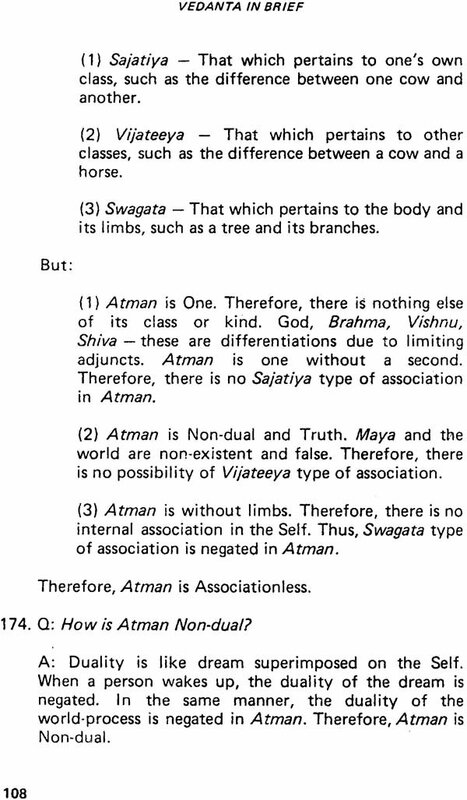 I am the Self-effulgent Brahman. With this stupendous vision of the identity of the soul with the Absolute brooding in your heart, you can convert every ripple of irritability into a merry wave of love. You can transmute all that is base and low your nature into the shining gold of Divine Virtues. You can watch patience the tumbling down of the mighty rocks of obstacles, as it were, beaten by the impetuous stream of Divine Vision descending from the summit of Self-realization. There is nothing impossible for You to achieve. You are the architect of you destiny. Do not delay in efforts to attain Self-realization, the Supreme Goal of human life, the supreme consummation of all human aspirations. Sri Pitambarji Maharaj (1846-1899) wrote Vichar-Chandrodaya (The Rising Moon of Vedantic Reflection) for the benefit of all aspirants. 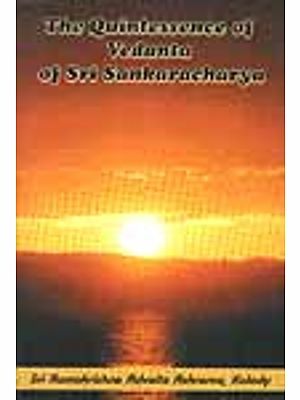 This present book is based upon Sri Pitambarji's excellent work, and has been compiled with the purpose of assisting all those who are deeply interested in spiritual life. 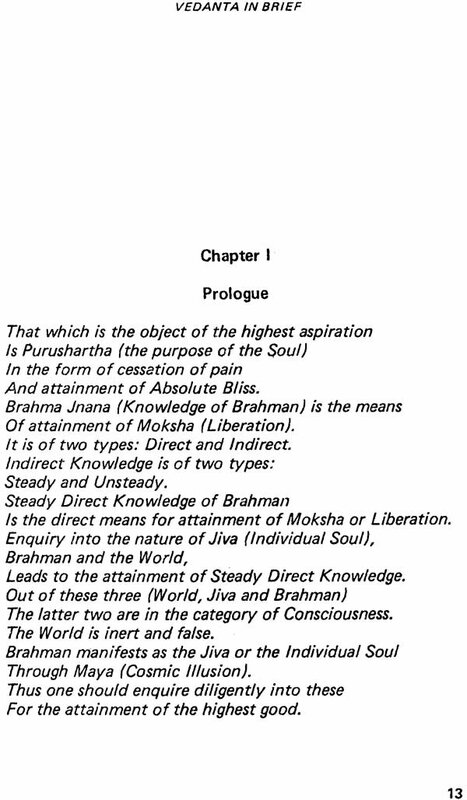 Through it, one may acquire the knowledge of the basic structure of Vedantic Philosophy in a very short time. This is a rare work that every aspirant must treasure. It is a constant companon for those who wish to attain Immortality. May the Lord bless You all with Peace, Prosperity and Moksha (Liberation).